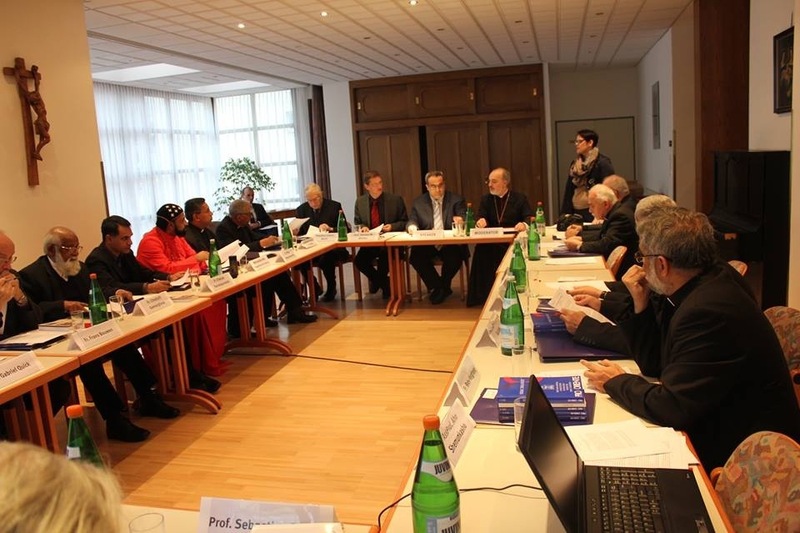 The ‘Fourth Colloquium Syriacum’ of the Pro Oriente Foundation was held in Vienna, Austria, from September 19-22, 2013, at the guest-house of the Pallotine Fathers (‘Pallottihaus’). The various Syriac-speaking Churches of the Middle East and India were represented at the Colloquium, along with many expert scholars and invited guests who also attended. 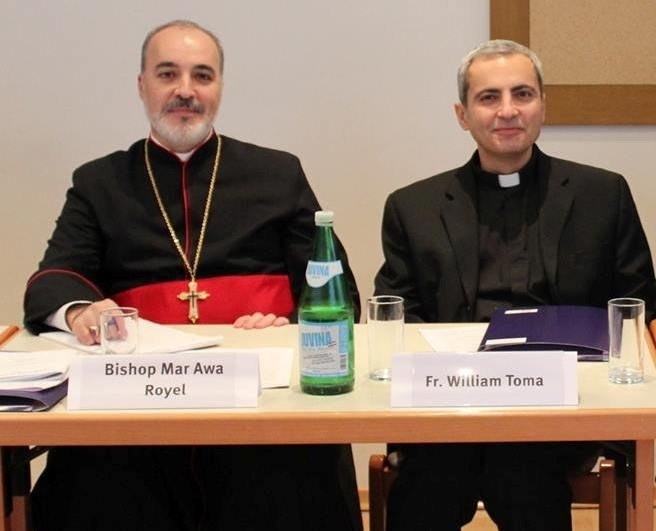 The Assyrian Church of the East was represented by His Grace Dr Mar Awa Royel, the Bishop of California, Secretary of the Holy Synod and President of CIRED (Commission on Inter-Church Relations and Educational Development) and the Very Reverend Father Dr William Toma, Parish Priest of Mar Sargis Parish (Chicago) and Archdeacon of the Holy Synod. In addition to the Assyrian Church of the East, other Churches represented were the: Syrian Orthodox Patriarchate of Antioch, Malankara Syrian Orthodox Church, Malankara Orthodox Syrian Church (Indian Orthodox Church), Syro-Malabar Catholic Church, Syro-Malankara Catholic Church, Maronite Catholic Church of Antioch, Chaldean Catholic Church, Syrian Catholic Church of Antioch and the Ancient Church of the East. 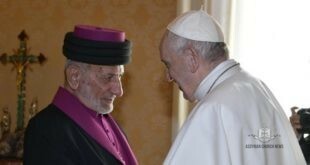 The experts included scholars from Jerusalem, Oxford, Washington D.C., Salzburg and representatives from the Pontifical Council for Promoting Christian Unity (Vatican City). 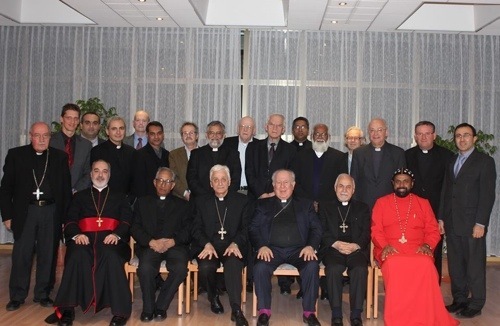 This year’s biennial gathering was centered on the theme: ‘Towards a Culture of Co-Existence in Pluralistic Societies in the Middle East and in India.’ For the four-day duration of the colloquium, prelates and scholars discussed in detail the plight of the Syriac-speaking Christian communities of the Middle East and India, taking note of the general unstable atmosphere of the region. After the reading of official letters of felicitations for the gathering by various ecclesiastics, the President of the Pro Oriente Foundation, Dr. Johann Marte, greeted the guests present to the city of Vienna in general and to the colloquium in particular. Then, the general schedule of the week was given to the delegates with much detail. The members of the Colloquium began to discuss the historic background of cultural and religious exchanges in the Middle East, specifically between Christianity and Islam, as they existed in the historic periods of the seventh century and during the Ottoman period. Later, the issues of religious fundamentalism in India and the Middle East were also discussed in various papers. Finally, an in-depth look at religious freedom and the understanding of citizenship and full participation of the religiously-diverse citizenry of these countries of the Middle East in the public life of these same countries. At the end of the Colloquium, papers were given with full discussion on the possibilities and attempts to build a ‘Culture of Collaboration’ and of peace-building in a religiously-diverse India and Middle East. At the end of the Fourth Colloquium of the Pro Oriente Foundation, a final statement or communiqué was drafted which will be released shortly, along with a more brief Press Release that addresses all interested parties who desire to learn about the magnanimous work of Pro Oriente. These shall be released and made available as soon as the texts are finalized.